A pair of busy professionals from Dubai found their passion for fitness. Over the years they noticed a massive gap in the apparel market which was to have both stylish and functional apparel. Thus Squat Wolf was born. 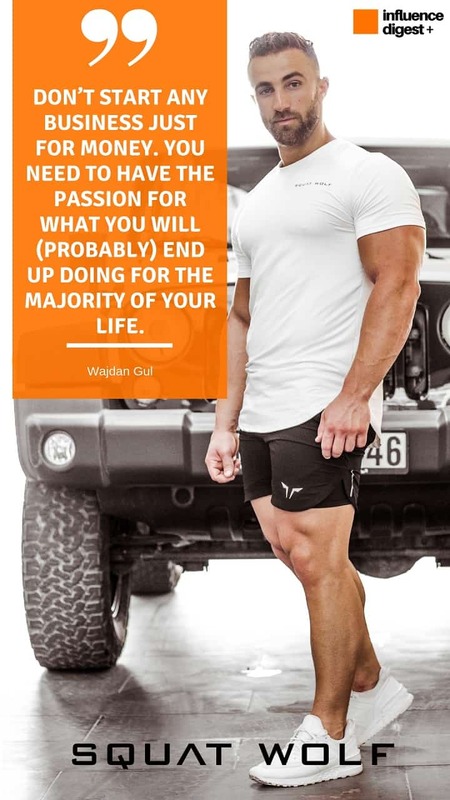 Wajdan (Waj) Gul dedicated his time and effort to creating an apparel brand that not only had the best style but was equipped with functionality to adhere to even the best athletes needs. We had the opportunity to sit down with Waj to learn more about his story. Influence Digest: Tell us your story – how did you get here? Waj: It all started with my personal problem. I live in Dubai and being a gym addict myself, I used to order a lot of gym gear from all the international brands. On top of paying for the actual gear, I used to pay heavy international shipping charges, customs duties, taxes and then wait for days (sometimes weeks) to receive the order. If the gear I ordered won’t fit me, I had to request an exchange, pay the shipping again and wait for weeks. It was all in all a very disappointing and tiring process to order my favorite gear. That’s where it struck me. Why isn’t there a single brand in the Middle East region!? I started approaching all the international brands for distribution rights in the region but no one was interested. They didn’t even bother replying and some just kept on delaying indefinitely. In February of 2016, My wife asked me to stop chasing the other brands and build our own brand from scratch. We had no experience in the apparel industry, fashion or manufacturing. We started doing research and meeting fashion designers, fabric suppliers, manufacturers, industry experts to learn about apparel business. Eventually, after 4 months of running around, we created our first line with only six pieces. We sold out two of them during the pre-order phase. As they say, the rest is history! We are the first and now the biggest gym gear brand in the Middle East. Influence Digest: Where did your passion for fitness apparel stem from? Waj: It all started from Arnold Schwarzenegger in Terminator 2: Judgement Day. I became a huge fan of Arnold after that movie and wanted to be like him. I read about him and got really inspired by his professional bodybuilding career. I just wanted to be like him. Although, I never competed professionally but always wanted myself connected to the fitness industry. The passion for fitness apparel stems from my own need of wanting to wear gym gear that’s not only tough but also kicking it in the style department. Gear that’s easily accessible to the local market. I wanted to create an international brand that amazing people in Dubai can be proud of! Influence Digest: What makes Squat Wolf different/unique in comparison to the other fitness apparel brands around? They need gear that accentuates their v-tapered physique. Gear that fits right and is specially made for their ‘athletic shaped bodies’. SQUAT WOLF works with gym athletes from different backgrounds to make sure our fit is true to their size and fits perfectly in the right areas and on the right muscles. We call it “True Athletic Fit®”. That’s what makes us different from all the brands out there. We spend months getting the fit right for different body types, hence the gear you buy from SQUAT WOLF will always fit you better than any other brand out there. Influence Digest: What social media outlet is the best for driving sales in your industry? 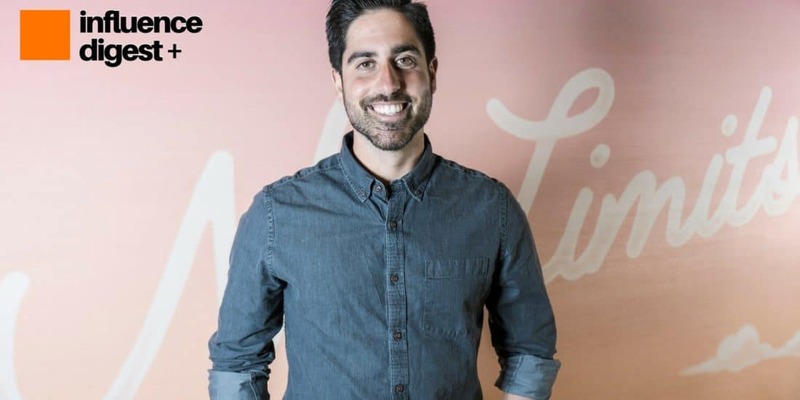 Waj: We started with Facebook and Instagram and still both of these social media platforms continue to out-perform all other advertising mediums we have tried. We see hundreds of brands popping every year and failing on FB and IN. Merely putting content out on your social media profiles doesn’t help at all. 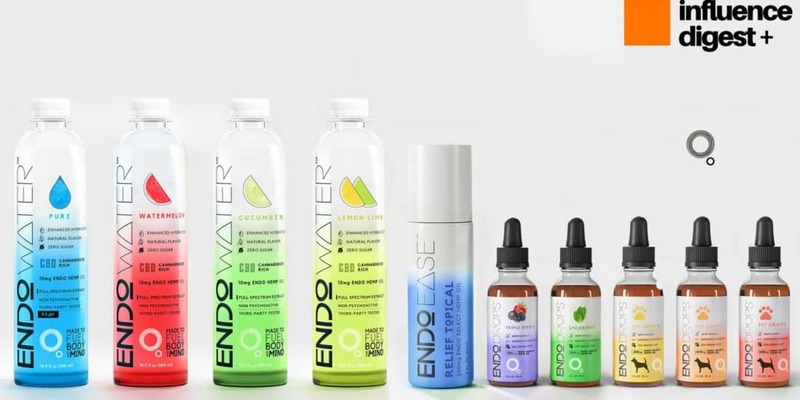 We also work with hyper-local influencers to push the brand and have an amazing targeted-advertising team that helps us push the message out of our organic reach. We are now working to grow our reach on YouTube and Pinterest as we expand internationally in US and Europe. Influence Digest: What has been your biggest challenge in this business and what have you done to overcome it? Waj: Maintaining the highest levels of After Sales Customer Experience has been the single biggest challenge. A lot of brands out there will sell you gear but will never reply to your emails, delivery delay complains, exchange requests or feedback. For us, customer experience is the biggest focus area. 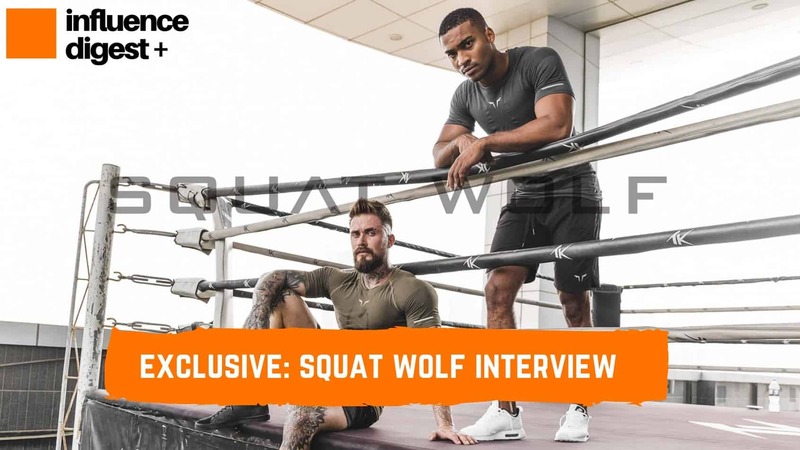 SQUAT WOLF was the first one in the gym gear industry to launch Live Chat support. We now have a dedicated team taking care of 24×7 customer support. We made exchanges/returns absolutely free and offer no-questions-asked 100% money back guarantee. We have also partnered up with DHL Express Worldwide to offer express 2-3 days shipping throughout the world. We believe this is also what makes SQUAT WOLF different from other the gym gear brands out in the market. We have an average rating of 4.8 out of 5 stars on Facebook Reviews and 80% Net Promoter Score. Influence Digest: What advice can you give to the young entrepreneur looking to dive into the e-commerce world? Waj: E-commerce is getting very competitive every day. Do not just enter into e-commerce industry thinking you will get rich overnight. Be ready to put in all your money, time and energy into the business for the first 2-3 years. You will need to be very patient, consistent and persistent. Do extensive research on what you are getting yourself into. Sit with the industry leaders, talk to them about common problems and challenges. Use Clarity.fm to find the relevant people if you don’t know any. Find a non-competitive niche in your local market. Capitalize and then grow internationally. Try to find at least 2 marketing channels that bring in the best results. Focus and grow them for at least the first year. Don’t spread yourself too much too early. Don’t go after big international social media influencers to promote your brand in the beginning. Look for hyper-local influencers who would most probably promote your brand for free and bring in better results. Keep your accounting books organized and keep your personal and business expenses separate right from the start. Build the business on the data right from the start. Keep an eye on customer acquisition costs, return on marketing investments, acquisition channel breakdown and track all the important e-commerce performance indicators. Cash Flow Statements are more important than Profit and Loss Statements. Keep a close eye on cash flow and spend only what you have. Make sure you have the right people in the team. Check if their future goals are aligned with yours, check if they are willing to stay long-term and see if they are willing to put in the extra effort. Build a community around the brand. 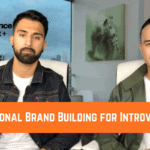 Influence Digest: What kind of importance do you put on building your own personal brand? I do believe if I was a brand myself before the start of SQUAT WOLF, it would have been a bigger brand than it already is. However, I didn’t let it discourage me. 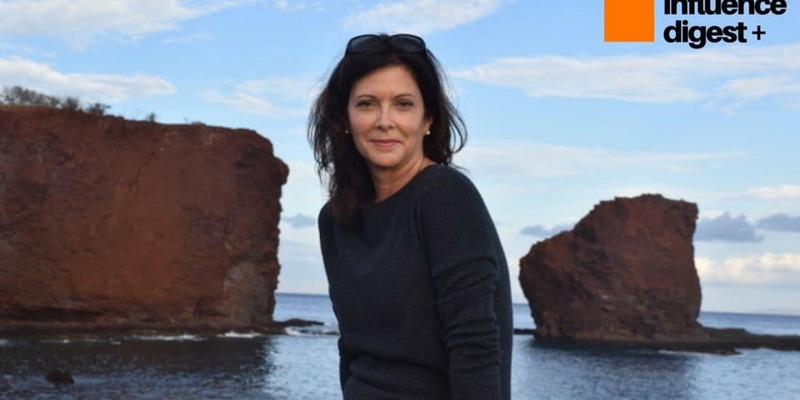 As a founder, I may not be influential on social media but I work really hard every day to meet new people locally and internationally to make real connections. So if you are an entrepreneur just starting out. 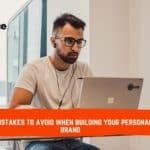 Start building your personal brand as an authority in your industry. It will help you kick-start your business. Influence Digest: What is your favorite product of Squat Wolf? Waj: I personally love Jogger Pants 2.0, Seamless T-shirts and Razor Back Tees. I wear them all the time as they have got a pretty athleisure look and are very comfortable to wear throughout the day. Influence Digest: What can we expect to see from Squat Wolf in the upcoming months? Waj: Oh where do I start? There are so many things we are working on. We are releasing some new women gear next month. We are also working with one of the top local fitness influencers on an exclusive collection. Early next year, we are also planning to launch our accessories range including gym bags, gloves, shakers, socks, caps, watches etc. We are also working on a super-massive collaboration with one of the biggest names in the entertainment industry. Follow us on @squat_wolf on Instagram to stay updated. Influence Digest: Is there anything that you’d like to leave us off with? Waj: Wanted to thank Influence Digest for giving us the opportunity to share our story with the world. You guys are doing a great job with your content! If the readers want to know more about SQUAT WOLF, check out our website www.squatwolf.com. If anyone wants to get in touch with myself or anyone in the team, please drop us an email at support@squatwolf.com. 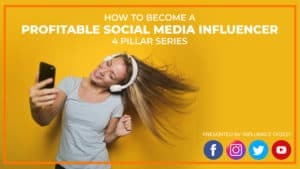 Nowadays it seems as though everyone is trying to be an Instagram influencer, and as a result, it may seem overwhelming even to dream about that lifestyle. The truth is, anyone can do it with enough persistence and the right guidance. If you are looking to become an influencer and make a living doing what you love we have designed a 2-hour course that outlines a step-by-step process to gain a following online and how to convert this following into business for yourself.